There are various professions that one can opt for in this world, but only a few of them are considered "noble" and being a "Doctor" is one of them. Being a Doctor is not an easy job, you are entrusted with faith and hope of not only the patients but their immediate relatives as well. It is a job full of responsibility and there is absolutely no scope of error or confusion. Isn't a difficult task for an human to be error free? I can see you nodding your head in a yes! 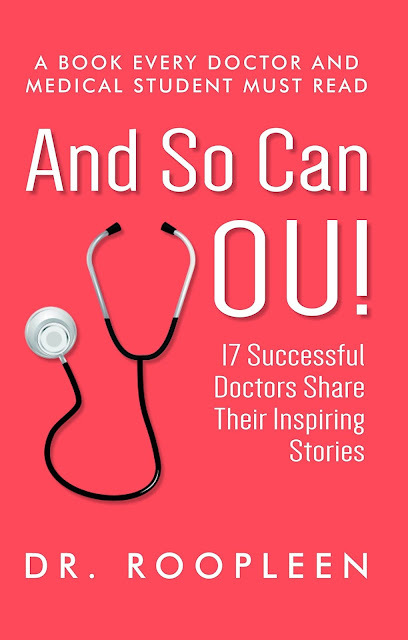 I recently read a book titled And So Can You which has seventeen successful doctors sharing their inspiring stories. The author of the book is a doctor herself, Dr. Roopleen, who is a motivational counselor, speaker, super specialist eye surgeon and author of several other books. The seventeen inspirational stories are about the struggles, overcoming the obstacles, facing the challenges and still making it through with sheer self belief. All the stories talk about where these seventeen doctors are today, how they have reached where they are and what keeps them still motivated. The book, And So Can You, had "A Book Every Doctor And Medical Student Must Read" written on it and being from a non medical student I had certain apprehensions about the language that may have been used and how relevant would it be someone like me, but since non fiction is a genre that I personally like very much, I started reading through it. Does the book inspire you and motivate you? Well the answer to this would be based on your perspective when you read through and the medical students would definitely relate to it, but for people with non medical background like me, the book had seventeen different life experiences and how one can overcome the internal and external protests and be victorious in the test of time. The book, And So Can You, talks about the importance of dedication and integrity that one has and preserves. The stories are not only limited to the achievements and accolades of these doctors, but their overall journey, personality and how they shape not only their careers but also the personalities that they become. 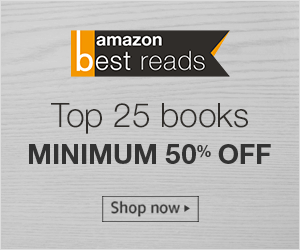 The narration of these stories is very comprehensive, writing is simple and straightforward and it is not only for medical students, but for anyone in general seeking any form of inspiration to accomplish and flourish in their own profession. All the seventeen stories are different with only one thing in common which was the love and dedication towards their profession and almost every story had some or the other take away. A few important learning from the book, And So Can You, are about the implication of good practices in day to day life. Seek help when needed without hesitating, never be complacent with what you know as there is always something or the other to learn and implement in your own field of work and the most important your self admiration should never come across your work life as it may affect you in a negative way. I would recommend this 261 page long book to anyone who loves non fiction and personal accounts especially to those seeking encouragement in different walks of life as this book has the capability to do so.